Winter is not due to start for another month…. …. but some mornings it sure feels like its here already. Enjoy short breaks on the isle of Mull, there is lots to see and discover. For the brave and hardy, early morning walks reveal a colourful sunrise and the promise of a great day ahead with maybe a touch of snow. Walking on the hills, you are very likely to stumble across red deer. 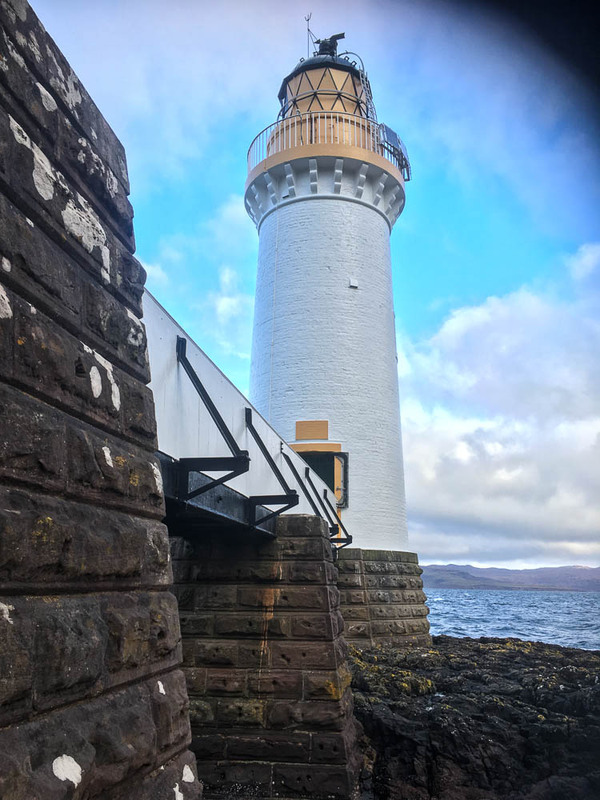 A walk along the newly refurbished lighthouse path from Tobermory to Rubha nan Gall lighthouse. Rubha nan Gall lighthouse is located North of Tobermory on the Isle of Mull. The name means “Stranger’s Point” in Scottish Gaelic. It was builtin 1857 by David and Thomas Stevenson and is operated by the Northern Lighthouse Board. Grey Skys, but on this occasion it stayed dry all day ! This is eagle and otter country, they are here on Mull all year round. Return home to a cosy Self Catering Holiday home. enjoy our multi fuel log burning stove.